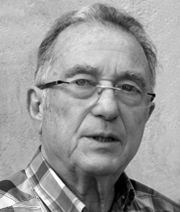 Mariano is one of the pioneers of industrial design in Spain together with Josep Maria Massana, with whom he was among the first to graduate in industrial design from Escola Eina in Barcelona (1965-1969). In 1971 he carried out his first designs for Gris alongside Carles Riart and Bigas Luna. He worked as a designer for several companies and along with Josep Maria Massana and Josep Maria Tremoleda he established Mobles 114, a furniture store and interior design studio. Since 1981 he has operated his own studio and worked as an independent designer. His most prominent works include the Espiral wall hanger (1970), the Lo magazine rack (1998), the Faristeu standing lectern (1990) and the Gira lamp (1978) in cooperation with Massana and Tremoleda, and currently edited by Santa & Cole.